WildBlue (formerly iSky and KaStar) plans to offer Ka-band Broadband Internet Access via satellite. WildBlue's approach is based on next generation, two-way wireless Ka-band spot beam satellite technology, which dramatically lowers the cost of providing high bandwidth access to the Internet. Offering 35 spotbeams, it will enable operator WildBlue Communications to provide broadband Internet access for the contiguous United States - even in the most isolated regions of the country. It will be positioned at 111.1° West. The Satellite names were changed from KaStar 1 and 2 to iSky 1 and 2 in 1999 and to WildBlue 1 and 2 in September, 2000. WildBlue announced in March 2002 that it has suspended work on its satellite broadband system as it seeks additional funding. 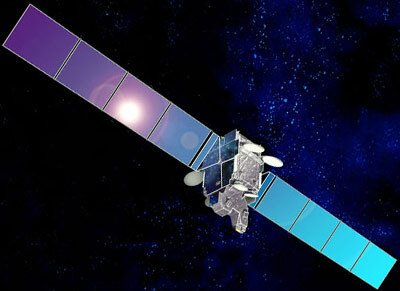 Work has been stopped on the first of two WildBlue satellites (under construction at Space Systems Loral) that would have provided high-speed Internet service, primarily for people in rural areas of the US without access to cable or DSL. In 2003 work on WildBlue 1 was resumed.